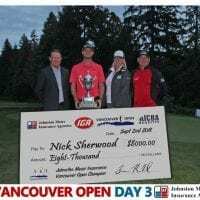 On a day where steady scoring won the race, it was Abbotsford’s Nick Taylor and North Vancouver’s Eugene Wong that maneuvered their balls the straightest over the narrow and winding McCleery Golf Course. Taylor’s round could be summed up by book-end consecutive birdies to start and finish with a bit of scrambling in the middle. Wong’s round started a bit more sluggish on the front nine, carding a 1 over par 36 only to follow-up with a 5-under par 31 that included 5 birdies and a lip-out from 3 feet. Both players finished at 67 (-4) on the day and will be chased by a hungry pack of Professionals looking to capture the $10,000 first place prize along with some year-end order of merit prizes that hinge on this weekend’s result. A total of 23 players head into Saturday’s round at Langara within 3 shots of Taylor and Wong, who happen to tee-off together at 11:30am. 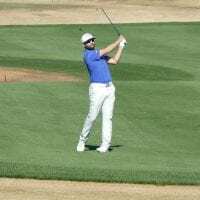 Their playing partner James Lepp had a bit more of an up-and-down round which included six birdies, and “scores ranging from a 2 to a 7” as Lepp would be quoted as saying after his round in his interview with Vancouver Sun sports reporter Brad Ziemer. Lepp has recently just re-launched his Professional career after a 4 year hiatus from the game starting his own golf shoe line – KIKKOR. 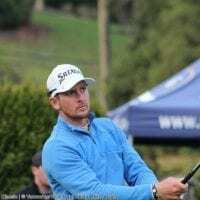 Lepp, along with a number of hungry Professionals will be looking to hunt down the leaders tomorrow at Langara Golf Course, site for round 2 of this year’s Vancouver Open. 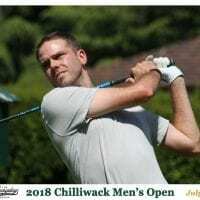 Final round action tee’s off at Fraserview Golf Course where the top 40% of Professionals and ties (and 50% and ties of each amateur flight) will make it to the Sunday’s final round. 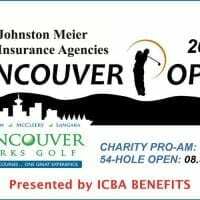 Spectators can pick up tickets either online HERE or at the gate for $10/day with proceeds going to the First Tee Program of Greater Vancouver YMCA. For those viewing from their iphone of from home, follow the action online by clicking our LIVE SCORING LINK!